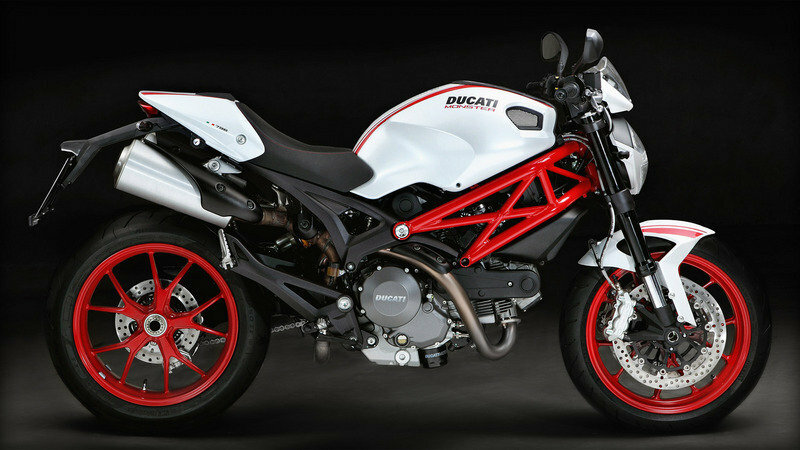 Ducati created a new minimalist-bike niche when it released the 900 Monster prototype back in 1992, and it considers the Monster family of bikes to be their Italian ambassadors to the motorcycle world. Marketed as a bare-bones-basic bike, there is plenty of room for customization, so the Monster family is uniform only in its diversity. 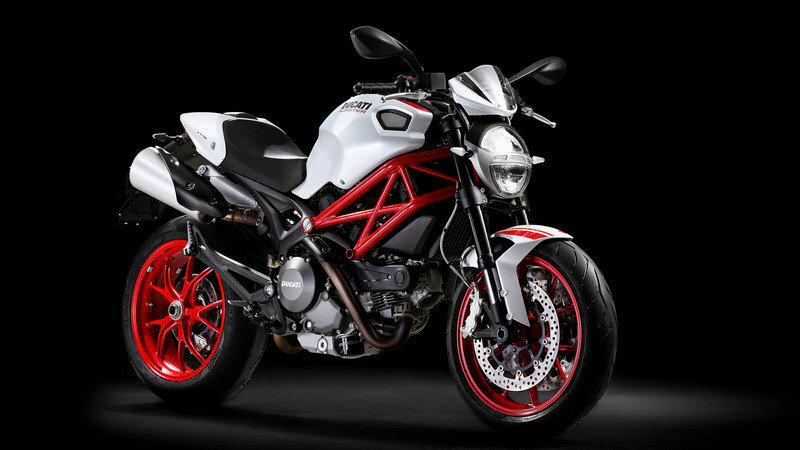 Ducati continues this tradition with the release of the 2015 Monster S2R, which could be called a little brother to the aggressive and powerful Monster S4R. The S2R shares the same frame geometry that you get on the S4R with many of the same superbike-inspired components, but Ducati tamed it a bit by opting for a smaller, air-cooled engine. This reduction in power while retaining the agile handling of the S4R makes this an ideal entry-level superbike, just without quite as much “super” as its looks suggest. 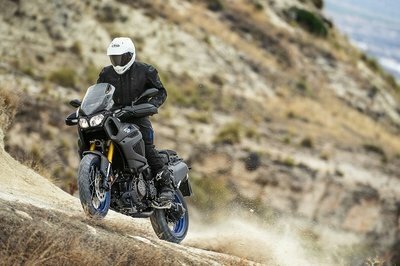 Built to look like a straight-up race bike with its beefy exposed frame and inverted front forks, there seems to be little in the way of storage or passenger space on the S2R. That’s fine for an around-town bike, but what it lacks in those departments it makes up for in performance and style. The relatively short wheelbase of 57.1 inches and the somewhat tall 31.5-inch seat height lend the bike a stocky appearance and make the lines look a little bunched up, but this seems to be a typical design feature of European-built sportbikes and is in keeping with the other models in the Monster family. Minimized lights and instrumentation keep that lean and clean look, and the LED lights help ensure that you remain visible to the cage-driving public. Color choice is limited to Arctic White Silk body panels with a red racing stripe, but the wheels and choice frame components painted the same color red achieves some continuity in the paint scheme. Inverted 43 mm front forks keep the unsprung weight low at the front wheel. This shift in weight makes the front suspension very responsive, and it keeps your front tire in contact with the asphalt, allowing for more confident braking and cornering on rough roads. A steel Trellis frame forms the bulk of the skeleton, with an aluminum sub-frame and a single-sided aluminum swingarm. The aluminum swingarm and cast-aluminum wheels add little to the unsprung weight in the rear end, and so the mono-shock rear suspension is as responsive as the front. With a front suspension travel of 4.7 inches and a rear suspension travel of 5.8 inches, you can expect good sensitivity from the suspension on irregular surfaces and enough travel to absorb some of the bigger hits. Seat height, affected somewhat by this suspension setup, is 31.5 inches and will be a challenge for shorter riders. 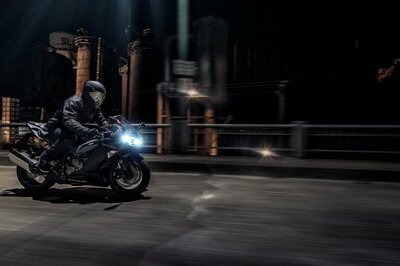 The headlight is of a triple-parabola design that throws plenty of light out of its compact package and the taillight uses LED technology to reduce the overall size of the unit. Going with the low-profile lights keeps the lines of this bike clean and in keeping with its minimalist roots. 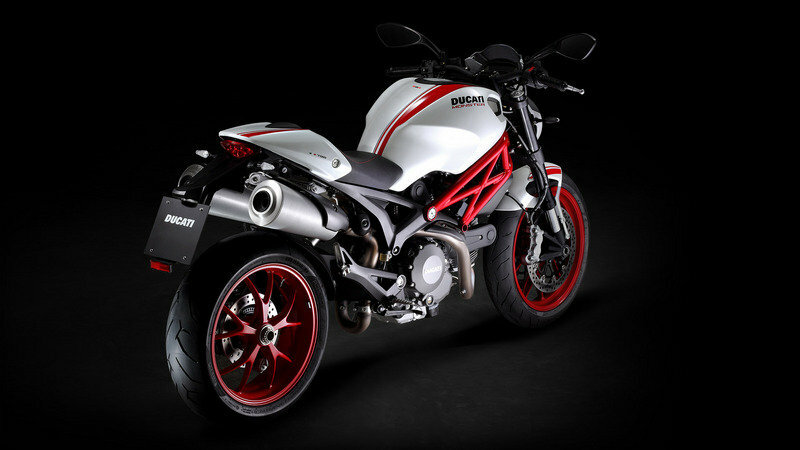 This bike also comes with anti-lock brakes, which according to Ducati, give the rider a more natural feel of the brakes. The engine is an air-cooled L-twin with the signature Ducati desmodromic valvetrain. For those of you who don’t know, desmodromic valvetrains use a push-open cam and a pull-close cam to control the valves, as opposed to a cam-and-return-spring setup. This allows you to wind the engine rpm up higher than you could with a spring system because valve-float is no longer a concern. The 803 cc twin produces 87 horsepower at 8,250 rpm and 58 pound-feet of torque at 6,250 rpm, so it’s apparent that they seriously want you to wind this engine up! Electronic fuel injection handles fuel delivery through a 45 mm throttle body, which along with the two-one-two exhaust system and catalytic converter contributes to keeping emissions low. The six-speed transmission has an overdrive ratio on the top gear, so you should be able to keep up at highway speeds without running the rpm, and fuel consumption, too high. The APTC clutch gives a super-light feel at the lever and has a “slipper” function that prevents the rear tire from breaking loose during aggressive engine-braking. 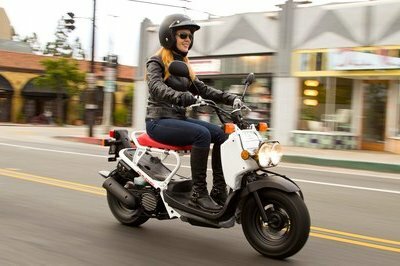 "The bike is clean, spartan even, but is basically a blank canvas that begs to be accessorized. I like the typical European styling and have always been fascinated by the Desmodromic valvetrain, and these two features combined make me feel like this would be a great little bike for some twisty country roads." My wife and fellow writer, Allyn Hinton, says, "Blank canvas! That’s what I was going to call it. I wasn’t keen on these bare-bones bikes at first, but they’re growing on me. Give me a good chassis and drivetrain and let me add accessories to create a bike that suits me. I’m not partial to the white and red color scheme, but it looks clean and I’m sure other folks like it. And, you know, it’s a Ducati."